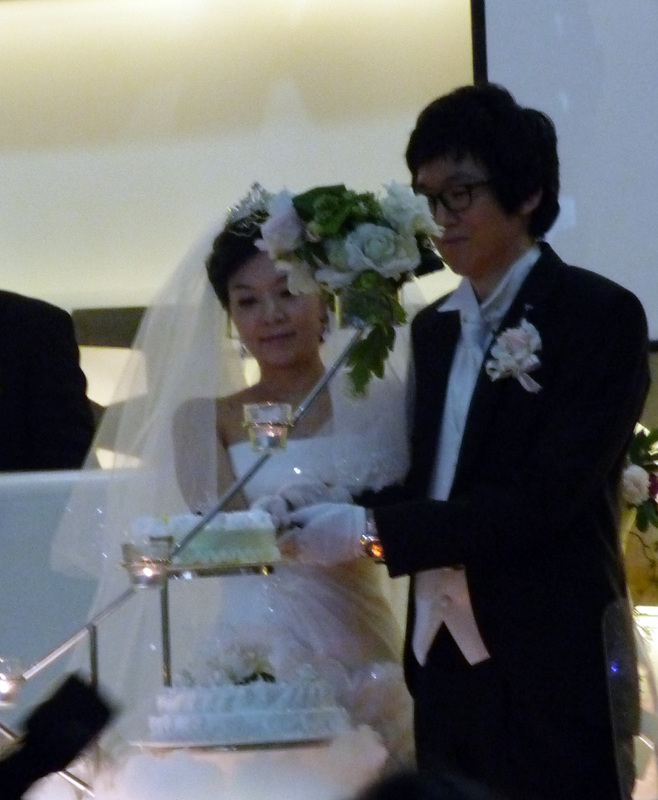 I pictured a Korean wedding ceremony, but it was a very Western affair. They wore Western-style clothes and had a very Western-inspired ceremony. Interestingly, they even imitated several of the rituals we do in the west, such as that cute moment when the new couple cuts the cake. But don’t be deceived! It’s not real cake, and no one ate any. 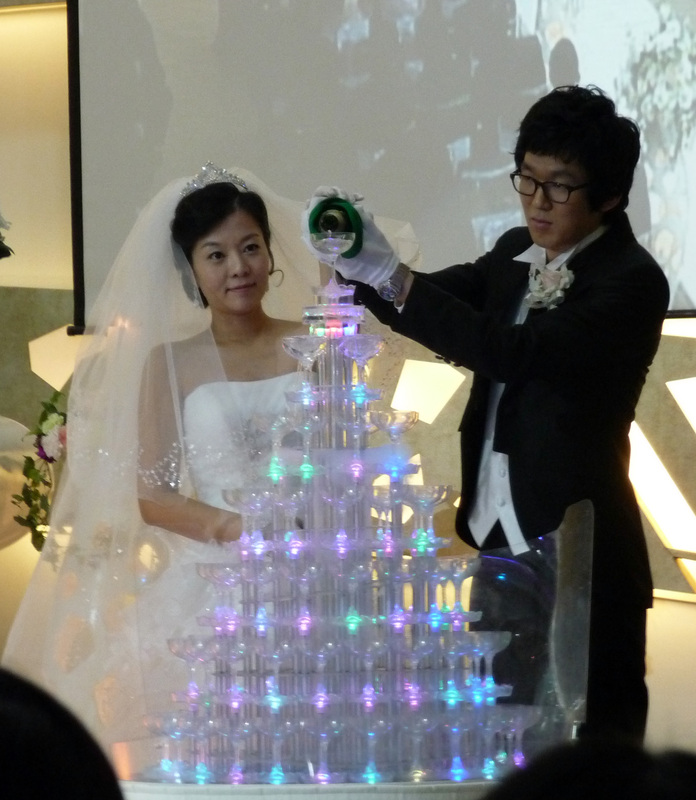 It’s a “prop cake” they have at Korean Wedding halls, just so they can take pictures. They even had a simulation of a Champagne toast. This was actually a fountain made to look like a set up for a Champagne toast, that they took a picture with. It was like a Western wedding, but it was just a bit off. The appearance was right. 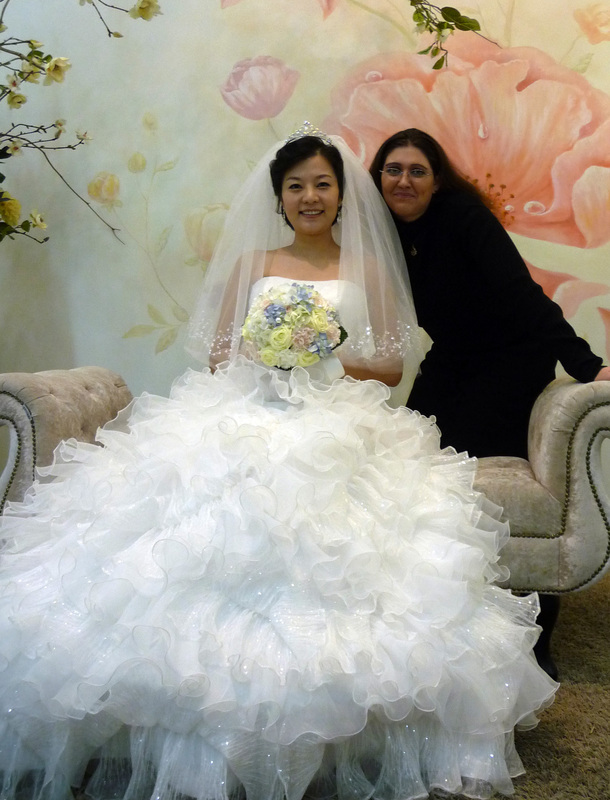 And yet, Western couples wouldn’t have made some of the calls that Korean wedding chapels do. 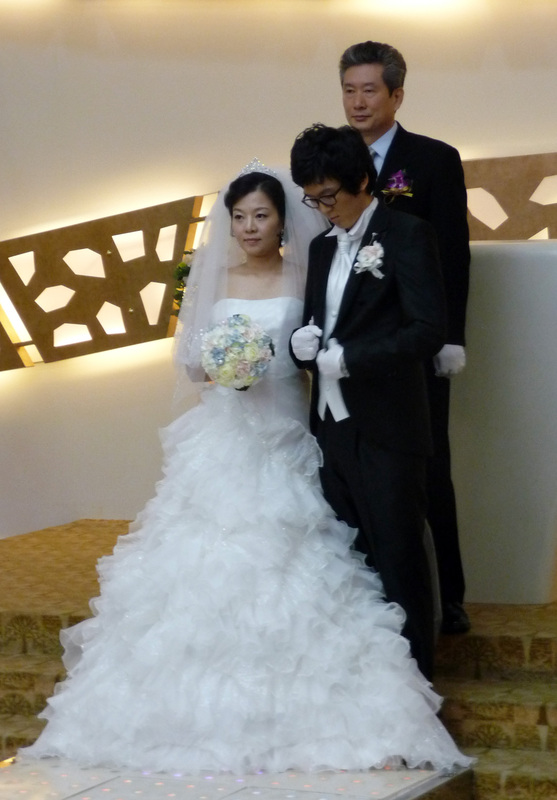 Oddly, Korean couples all do these Western ceremonies like the girls see on TV growing up. They want to wear the white dress like modern culture says they should. BUT they also have a Korean ceremony. Since it’s traditional and they are sort of shy about Korean traditions, this ceremony is only for family. 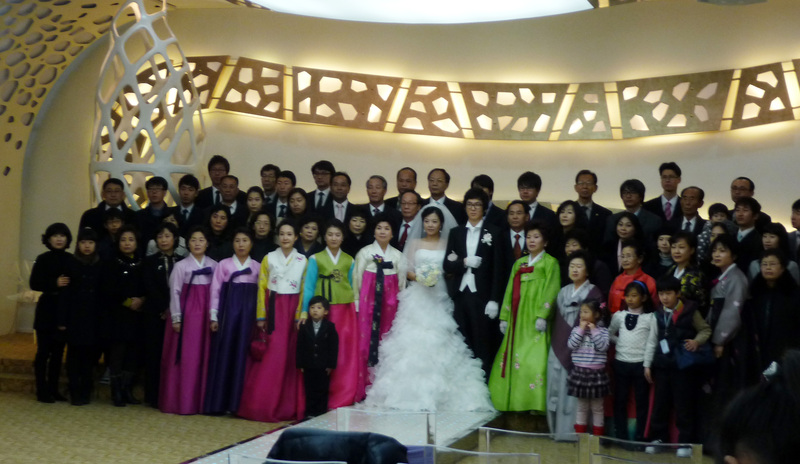 So I sat with their friends and other co-workers at a buffet in the wedding hall while they had their Korean service.